IF THE DANCER DANCES invites viewers into the intimate world of the dance studio. Stephen Petronio, one of today's leading dance-makers, is determined to help his dancers breathe new life into RainForest (1968), an iconic work by the legendary choreographer Merce Cunningham. With help from three members of the former Cunningham company, the film tracks Petronio's dancers as they strive to re-stage this great work, revealing what it takes to keep a dance and a legacy alive. 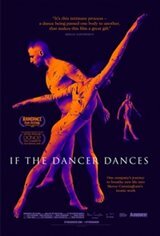 Timed to coincide with Cunningham's centennial, IF THE DANCER DANCES is the first documentary on the subject of Cunningham's work since his passing in 2009.